Pot. Weed. Cannabis. Whatever you call it, marijuana is the most commonly used federally illicit drug in the U.S. As of 2015, 44% of Americans report they had tried the drug at least once – and 11% said they smoke marijuana regularly. Once illegal across the nation, recreational marijuana is now legal in four states as well as Washington, D.C. Medical marijuana is legal in 23 states and D.C. Additionally, 14 states have decriminalized certain marijuana offenses. While opinions about marijuana legalization are split, it has certainly become a much-discussed issue. However, statistics don’t tell the whole story. Which parts of the country really care about marijuana? To find out, we analyzed geotagged Instagram posts that mention the drug to see which cities’ residents post about it most. 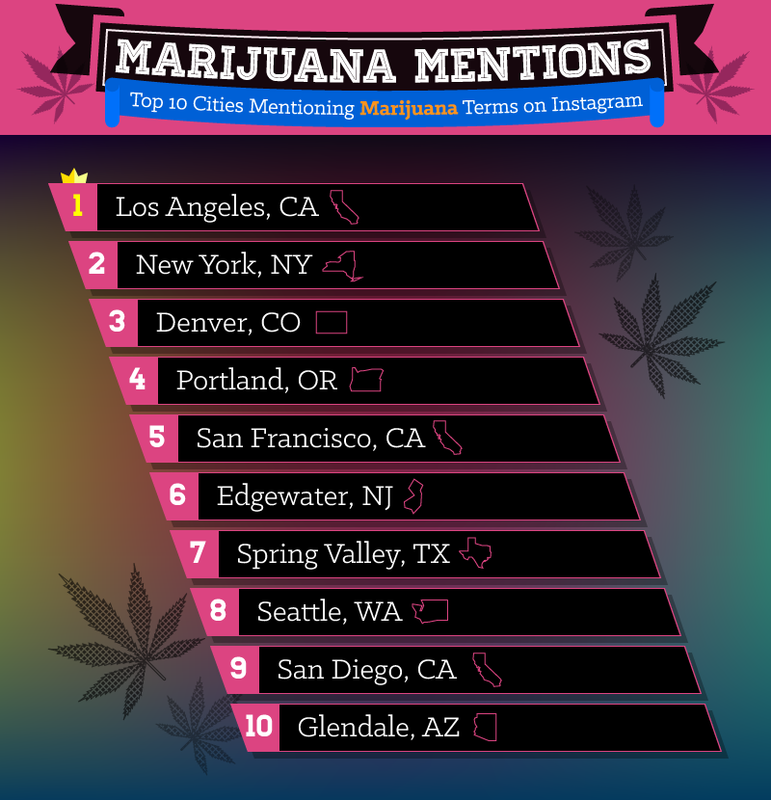 Whether they’re actually using it or simply talking about it, Instagram users in these 10 cities mention marijuana more than the rest. We scraped Instagram for geotagged posts containing hashtags related to marijuana. Feel free to share the images found on this page freely. This research was conducted by Aizman Law Firm.